Although you’re selling a digital product that isn’t tangible, the presentation of the product is very important and can have a massive influence on sales. If you’re selling a physical book in a book store, of course it makes sense that you’ll want to have a cover design that looks great and appeals to your target audience. If you’re selling an e-book you may assume since the product is digital and not physical that the appearance and presentation are not important, but this is not the case. Even with digital products, presentation counts. I’m sure you’ve seen e-books for sale with graphics that show a book cover or mockup as though the product was a physical, tangible product. With downloadable videos you may see a graphic of a DVD case. And with downloadable software you may see a graphic of a software box that looks like something you would purchase in a store. These types of graphics help to influence the way visitors and potential customers perceive the product and its value, even if it is subconscious. If you’re selling some other type of digital product that doesn’t have a physical counterpart which can be used in the presentation, it’s still critical that the images and graphics at your site related to the product look as professional and appealing as possible. If you’re looking for some examples of digital products that are presented effectively you can browse marketplace sites like Creative Market and GraphicRiver for inspiration. Both of those sites target designers, so a high emphasis is placed on the presentation of products and you can pick up some great ideas and inspiration. In order to create professional-quality graphics for your products you may need to hire a designer. With the help of sites like oDesk, Elance, and Microlancer you can find qualified designers that will offer affordable services. Presenting your product in a professional manner can make a big difference in the number of sales, and of course, the revenue that you make from the product. I’ve seen this in my own experience as I’ve had some products that have been presented well, and others that have been presented poorly. Presentation is a big deal, so don’t ignore it if you aim to maximize your sales. There is nothing like a limited-time offer or discount to create some incentive for buyers. People who had been considering making a purchase are much more likely to take action when a limited-time sale reduces the price. Sales and discounts are also helpful for making your promotional efforts more effective. Getting your email list subscribers to open emails about your products can be difficult, but when the subject line announces a big discount it will usually result in higher open rates and more sales. Getting shares of your products via social media and mentions at other sites/blogs is also much easier when there is a big promotion that your customers are excited to share with others. Digital products open up a lot of possibilities for sales and discounts because of two primary reasons: 1) There are no additional costs for you to produce extra quantities of your digital products, and 2) there are no shipping costs and delivery costs are very low. For example, if you were selling a physical book you would incur a cost for each book you print. Selling more books will bring in more revenue, but it will also increase the amount of money that you spend to have the books printed. This is not the case with an e-book. Once you have the e-book created you can sell unlimited copies without facing additional costs to print or produce more. Also, with a physical book shipping costs would be involved. If you sell the book at a store there would be costs to get the books shipped from the printer or publisher to the store. If you sell the book online, there will be shipping costs to get the book from you (or a warehouse) to the customer. However, with an e-book there are no shipping costs. The book will need to be downloaded by the customer, so there will be some delivery costs for you in terms of bandwidth, but these costs are very low in comparison (often an e-book download may account for a few cents of bandwidth, and perhaps even less). These printing and shipping costs that are associated with physical books will need to be covered with each sale, plus you may have other costs for middlemen in the process. As a result, the amount that you can discount a physical book and still make a profit will be much less than in comparison with an e-book. The down side of sales and discounts that you will need to consider is that it can have an impact on the perceived value of your products, and it’s possible that you will decrease the number of full price sales that you make as a result. In most cases this will only be a problem if you are constantly offering discounts and buyers know that your regular price is mostly for show. In my experience, limited time offers can be extremely effective for making more sales and increasing revenue. Not only will they help you to make more sales, but it will also allow you to attract more first-time customers, and you may be able to convert them into repeat customers at some point in the future if they are happy with their purchase. If you have an email list or a blog where you can reach your customers and potential customers, running a limited time offer can be done very inexpensively and very easily. The blog or email list will allow you to get your offer in front of a targeted audience with no added expense, and social media channels can be extremely effective as well. Holidays and popular shopping seasons, such as Black Friday, are great opportunities for sales, or you can run your promos whenever you’re looking for a revenue boost. Repeat customers are key because it is much easier to make a sale to an existing customer than it is to find a new customer. 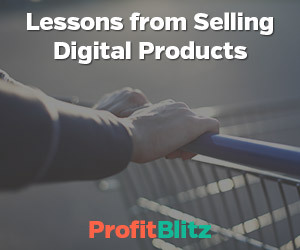 Assuming your products are of high quality, selling to your existing customers is essential for being able to maximize your profits through digital product sales. So, of course, this means that you’ll need to have multiple products, or at least some upsell options if you are going to make multiple sales to the same customers. An email list is a great way to stay in touch with your customers and to encourage repeat sales. You can do so by offering discounts to your existing customers, or by using your email list to notify customers of new products as they are released. Many e-commerce platforms will either have a built-in newsletter functionality or can be integrated with AWeber, GetResponse0 or another mailing list manager. If you’re not focusing on selling your products to those who have already purchased from you, you’re missing out on a big opportunity to increase sales. The potential for repeat sales and upsells is a big part of the high income potential and one of the most significant reasons to sell digital products. For many bloggers and website owners who are considering selling their own digital products, the technical details of setting up e-commerce can be very intimidating. The good news is that if you just want to sell a small number of different digital products from your site it doesn’t have to be complicated. There are several different plugins, apps, and services that exist specifically to help small online shops sell and deliver digital products. If you’re a WordPress user there are even some free plugins that can get the job done. Easy Digital Downloads is a great option. It’s easy to use because it doesn’t include loads of features that you’ll never need. The plugin integrates with PayPal to collect payment for your digital products, and it also handles the automated delivery of the products to buyers. It’s a free WordPress plugin, but there are a number of optional add-ons that can be purchased if you need additional functionality, such as a different payment method aside from PayPal. Other options like DPD, E-Junkie, and Send Owl are low cost and very easy to set up. With these services you’ll pay a monthly fee based on the number of products that you sell and the disk space that is needed to store your digital products, they will handle the delivery of products to buyers, and each will integrate with a payment processor. You can actually get any of these set up in just a few minutes and you’ll be selling products from your website or blog with very little effort or worry on the technical details. When it comes to selling digital products, PayPal is usually the default option for collecting payment from customers. However, even though PayPal allows buyers to use a credit card rather than a PayPal account for a purchase, some people prefer not to use PayPal at all. Additionally, PayPal cannot be used by people in some countries. So if you are offering PayPal as the only payment option you may be missing out on some sales. It’s recommended that you offer the option for customers to pay with a credit card without using PayPal, as it can increase the number of sales that you make. With many systems you can offer PayPal in addition to credit card payments through another gateway. Personally, I use PayPal and Stripe at one of my e-commerce sites. When I first started accepting credit card payments via Stripe I was surprised at how many customers chose not to use PayPal, so I would encourage you to give the option to your customers as well. One of the best things you can do to boost your sales and revenue is to offer an affiliate program. Other website owners can then promote your products on their sites and blogs and make a commission whenever they refer a visitor who buys something at your site. Affiliate programs allow site owners to make money without the need to create their own products or provide customer service. For you, the seller of the products, affiliate programs are awesome because it’s like advertising that you don’t pay for unless a sale is made. Having just a few successful affiliates can help a small e-commerce site to significantly increase revenue, and having a large number of active affiliates can result in a a huge “sales force” of people promoting your products. The keys to a good affiliate program include offering a generous percentage of revenue to your affiliates, and including favorable terms on things like the length of tracking cookies, payment policies, and simply having quality products and presentation that convert visitors into buyers. The technical details of setting up and managing an affiliate program may seem intimidating, but it can actually be quite easy. DPD, Send Owl, and E-Junkie all have built-in affiliate programs that are easy to setup and will not cost you anything additional. If you’re using another e-commerce platform it may have it’s own affiliate program, but a system like iDevAffiliate can be integrated rather easily with just about any e-commerce platform or shopping cart. Although offering an affiliate program is one of the best things you can do to increase sales, you may need to proactively recruit some affiliates, at least at first. If your site or blog already has an established audience you may be able to simply add the affiliate signup to your site and watch people start promoting your product right away. But most smaller blogs and sites that start selling products will need to make an effort to find other sites and blogs that would be ideal affiliate partners, and contact them. From my own experience, when I’m looking for ideal affiliates I start with blogs that I follow, and I do so because I know the type of audience they have and I know that the bloggers have a good reputation with their readers, which makes their referrals more effective. I also like to see sites and blogs that have email newsletters that target an audience that would be interested in my products. Email promotions are often very effective for affiliates. Another thing that I do to find potential affiliates is to do Google searches for phrases that are related to my products. I look at the pages ranking at or near the top of the Google results and see if there would be an opportunity for the site owner to add some affiliate links on the existing page. For example, if I were selling an online course on how to finish your basement I would do Google searches for phrases like “how to finish a basement”, “how to waterproof a basement”, “how to frame basement walls”, etc. I’d look for articles and blog posts that are ranking well and providing helpful information, and I would contact them to see if they would be interested in editing the page to add a brief mention and promotion of my course. Some of them would probably be interested because they already have the content on their site and traffic coming to it, so monetizing it with a relevant promotion would be pretty simple and could easily make some extra money for them. For me this would be great because people are already finding these pages when they are doing searches for phrases that indicate an interest in buying an informative product. Although they can get some helpful information for free from the article, my course would include much more detailed information and would also cover a much broader topic than the article, so many visitors would find the course to be useful. 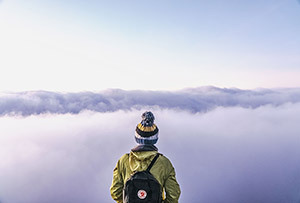 If you’re looking to recruit affiliates with big potential (such as someone with a large blog or mailing list audience, or someone with top search rankings for related phrases), you may want to consider offering them a higher percentage than other affiliates for added incentive, and/or setting up a coupon code specifically for their audience. When affiliates share coupon codes along with their recommendation of the product it tends to produce even better results. Daily deal sites like Groupon and Living Social have become extremely popular, and they’ve also led to the rise of other similar sites that target specific audiences. For example, Mamasource offers deals targeted at moms. Photo Dough offers deals for photographers. Deal sites like this exist in just about any niche and industry you can imagine, and some sell digital products in addition to physical goods. Partnering with deal sites is far more effective for selling digital products than it is for selling physical goods. As I mentioned earlier, digital products allow much greater flexibility in pricing and you have the option for deeper discounts if you’d like. Many companies that sell physical products or services via daily deal sites are actually taking a loss or barely breaking even on each sale. Their motivation in these cases for running the deep discount is to attract new buyers and to help with exposure and visibility, which may or may not result in more future sales at regular price. But with digital products it’s possible to make good money through promos at daily deal sites. I’ve run many promotions that have made hundreds or thousands of dollars for me through these sites. If you have a large existing audience you may be better off to focus on selling to your own audience, but if you have a smaller audience or have not been making many sales on your own you may really benefit by partnering with a deal site that has an established audience of buyers. If you have the digital product already created it will usually only take a small amount of time to set up and coordinate the deal. The two previous points about affiliate programs and partnerships with daily deal sites make it possible to sell your own products with little to no established audience. If you have a product that other site owners are interested in promoting or selling, you really don’t need to have the audience yourself if you’re willing to share the revenue with those who will promote it. Of course, it will take some work on your part to find the partners to promote your products, and you’ll still probably want to work on building your own audience, but it does allow you to start making money from your products even before you’ve established your own audience. Many bloggers and site owners choose not to create their own products to sell because they think that no one will buy from them. If you’re in this situation I would encourage you to consider the possibilities for partnerships rather than focusing on the limitations caused by a lack of an audience. Of course, you could create your product and pay for advertising in order to make sales, but the opportunities presented by affiliate programs in particular make it possible for anyone to market a product without an audience and without paying for ads. Regardless of the type of product you are selling there will be some customers that need support. With most digital products the majority of customer support inquiries are for basic issues, and many of these inquiries can be prevented by providing adequate documentation to customers. For example, you may get emails from customers that need help with unzipping a file, installing software, or even using your site to download the product that they purchased. These types of requests are often easy to answer, but when you’re getting a number of them it can add up to a significant amount of time being dedicated to customer service. In many cases you can reduce this by creating documentation that provides customers with answers to frequently asked questions. This is also beneficial for customers because they can get answers and solutions quickly without needing to wait for a response to a customer service request. On the topic of customer service, not all types of products are equal. Some products will require far more time and effort for customer service than others, and you need to consider this before deciding what types of products you are going to sell. For example, if you’re selling PDF e-books you’ll probably get very few customer service requests. Just about everyone knows how to download and open PDF files, and there is nothing complicated that users need to do, and there are not a lot of different things that can go wrong. On the opposite end of the spectrum, selling WordPress plugins will generally lead to a lot of customer service requests, and some of the issues can be quite complicated and time consuming to fix. There are a lot of variables that can impact how a plugin works, things like the type of server the site is on, the server settings and configuration, the WordPress theme that the site is using, the other plugins that are active, and any customizations done by the user. Then there is also the fact that many users will not be very tech-savvy and may need help with the basics. All of this results in a lot of requests for customer service and more time from you, or more costs if you hire someone to provide customer service. Keep these things in mind when you are choosing the types of products that you want to sell, and also when you are pricing those products. If you have experience selling digital products please share your own tips and lessons that you’ve learned.